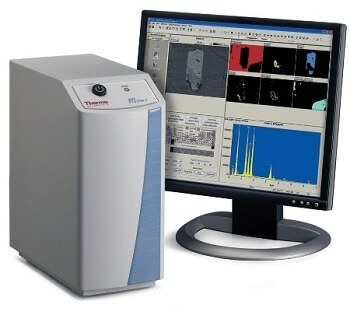 The NORAN manufactured from Thermo Scientific has microanalysis capabilities for the modern electron microscopy laboratory. It is capable of generating accurate results and answers within seconds. It uses the PROZA Phi-Rho-Z matrix correction algorithm. Elemental peaks can be easily and accurately identified using rule-based identification and peak-shaped deconvolution. The NORAN is used for collecting data which can be analyzed without reacquiring or changing acquisition parameters. 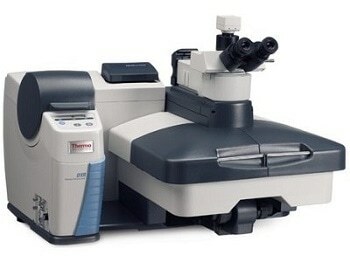 The collected data is then analyzed by the microscope, or taken offline to a different computer for generating the report. The EDS is capable of deciding whether the statistics that have been collected are enough, and it also enables viewing the data as it develops. The system uses powerful multivariate statistical algorithms, and allows all the users in the laboratory to carry out the same analysis and provide consistent results. Apart from presenting the elemental data in maps and spectra, it produces information-rich picture of the sample composition. It also obtains data ten times faster than current X-ray microanalysis technology. The NORAN consists of a magic wand tool which is used for quickly and easily drawing a border of complex areas without the need to manually draw an outline. It also consists of a SpectraCheck which helps to confirm the presence of an element using spectrum simulation and comparison routine. Elemental identification and quantitative analysis of the selected areas can be provided just by clicking the mouse.